While we have made significant progress toward a future where diversity and inclusion are truly prioritized, there is still a long road ahead of us. 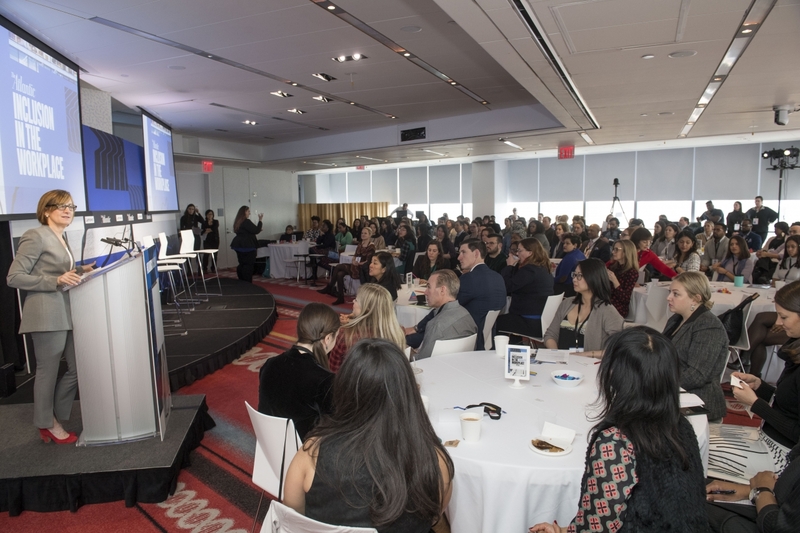 Increasingly, businesses are seeing the positive impact of a diverse and inclusive workplace on their bottom-line and the CDO, or Chief Diversity Officer, is becoming a person of interest to the C-suite. We’re noticing a gradual and exciting shift in the conversation from ensuring marginalized people a seat at the table to rebuilding the table, and from ensuring access to leveraging technology. The Atlantic’s “Inclusion in the Workplace” conference earlier this month was an inspiring and aspirational look at just this. A common sentiment expressed by the speakers was that women, especially women of color, are at a disadvantage in corporate America in part due to the lack of representation of those marginalized communities in the upper echelons of management. If you don’t see people like yourself at the top, how are you expected to envision yourself there? The scarcity of senior people of color/female leaders means fewer mentors and sponsors, which begins the cycle of exclusion.